user holding by hands an electronic cigarette vaping device top view overhead view of e cigarette e liquid vape tools. 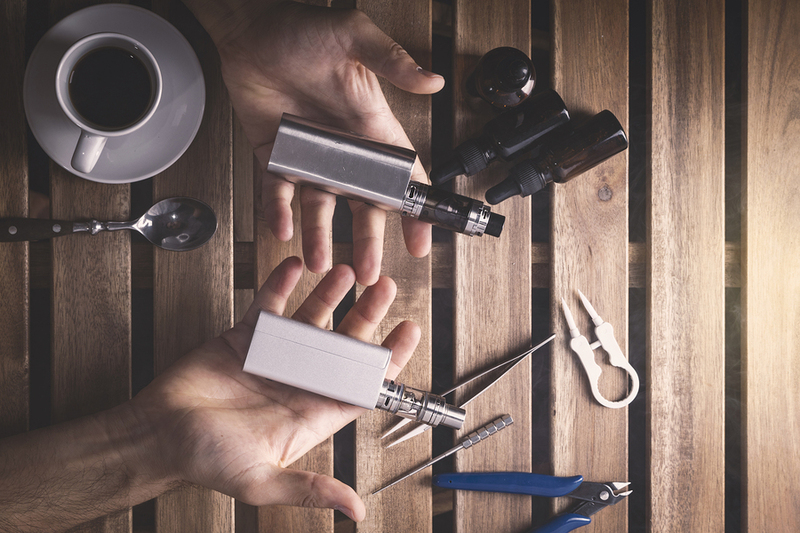 For those who don’t know what an e-cigarette is, it isn’t more than an electronic nicotine delivery system, a handled device that is often used by regular tobacco cigars consumers with the main goal of reducing the smoking habit or nulling it at all. Also known as e-cigs, vaporizers or vapes, they were introduced to the market in 2004 and his global usage has risen up a lot since then. Recently, the scientific community has been asking federal parliamentarians for a new reform that supports the benefits that this gadget brings to new and old high-nicotine, regular cigarettes consumers. “Australia has to be a country open to any healthy alternative options to the many problems that products may cause on the human body, one of the most harmful of them all, is ironically the most consumed,” consulted health experts say. Some others as the US and UK have worked seriously on this, providing already an easy access to these less harmful e-cigarettes. The drug law reform that has been pled is impulsed by the observation and study of the possible way to turn off the habit to a considerable amount of smokers. One of these studies, organized by a public agency in England, discovered one of the many reasons of this being a potential petition. These acclaimed vaporizers are, at least, 95 percent safer than the common combustible cigarettes. Although the 5% rest of the total is complemented with chemicals as carcinogens and other toxic metals, including the nanoparticles that allegedly comes in hand with the device itself. This is one of the two considerations that are being taken more seriously. The other risk that is that it might involve teens to use it. Something that is not absent at all in the device filters or “juices” that comes in so many different flavors is nicotine. Research has ensured that the nicotine, no matter if it comes from small doses, it still produces those highly addictive effects that develop into dependence. A constant petition that has been made not only by doctors but by many other associations is regarding the smoking rate of real cigarettes, which reports have made clear that have fallen in an immense scale in the friendly e-cigarettes countries. The real part of the problem is that a number of smokers that are truly willing to quit the habit is small. This may be the solution to a problem that affects millions around the globe, one that doesn’t only affect the consumers’ health but also the ones who are near. The change from common to electric ones could even help with a massive suicide scale, regardless how dramatically that may sound. According to a 2014 study, more than 6 million Europeans had quit their addiction just by replacing it with a healthier substitute.